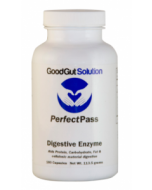 Perfect Pass Digestive Enzymes are your perfect answer to help digest proteins, carbohydrates, fats, and cellulosic materials. 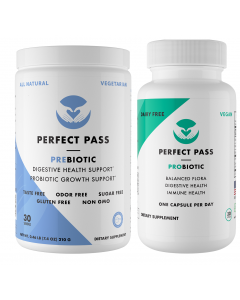 All of the ingredients contained in Perfect Pass Digestive Enzymes work together to mimic your own the body's production of digestive factors. 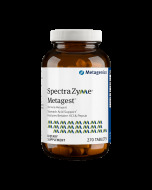 These enzymes are an excellent choice for any gastric upset or incomplete digestion, particularly when it is due to incomplete and inadequate secretions of your intestinal enzymes. 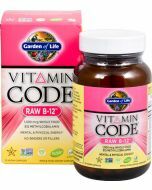 (b) aid in reducing inflammation, tissue debris and detoxification, when taken between meals. When we're young, our digestive enzymes are able to easily break down ingested food into vital proteins, fats, and carbohydrates. This provides optimal nutritional value to the body. However, as we age and also as a result of illnesses we may have had, the body’s digestive functions starts to deteriorate. This results in a variety of symptoms like gas and bloating. It can also cause food to only be partially digested. 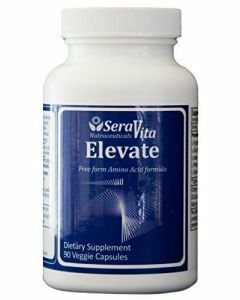 Sometimes nutritional deficiencies, and even inflammatory conditions result because of inadequate enzyme activity. Fortunately, now that we have an advanced enzyme formula, it makes it possible to protect the body against systemic inflammation and also improve digestive function, prevent gastric distress and even curb malnutrition that often occurs in the elderly. Pancreatin (4x), Protease, Ox Bile, Bromelain, Rutin, Trypsin, Thymus substance Whole (bovine), Carrot, Lentil, Pea, Amylase, Lipase, Lysozyme, Cellulase, and Chymotrypsin. Gelatin (capsule - SLS free), Magnesium Stearate (lubricant) and Magnesium Silicate (lubricant). Proteolytic enzymes digest protein by aiding in the digestion process, breaking it down into amino acids. Proteolytic enzymes are essential regulators and modulators that are required to respond to body stresses. When our bodies are stressed, it creates inflammation. Now we know that inflammation is at the root of almost all disease. Proteolytic enzymes help our bodies respond to inflammation by working to provide protection. The three most common proteolytic enzymes are pepsin, bromelain and papain. Pepsin is naturally produced by the intestines and essential for the digestion and breaking down of proteins. Bromelain and Papain are food enzymes found in pineapple and papaya. Bromelain is a protease enzyme found in the juice and stem of pineapple. and has a lot of health benefits, It’s similar to pepsin as a natural digestive aid. 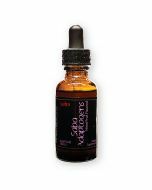 It is also effectively used for bloating, gas as well as digestive conditions like IBS. Papain is also a protease enzyme and very popular. It comes from the latex of the papaya and is also similar to pepsin. Papain is especially concentrated in the fruit when it is not ripe yet. It is extracted to make digestive enzyme dietary supplements and is also used as an ingredient in some chewing gums. Papain also stimulates fats and protein digestion and is very useful to improve overall nutrient absorption. Papain supplements can also help relieve heartburn. Enzymes initiate many chemical reactions in your body. These protein-like substances help maintain tissues, orchestrate many body functions and digest food. Metabolic Enzymes spark reactions inside the cells of our body. Our organs, tissues and cells do not function without the help and direction of these enzymes. 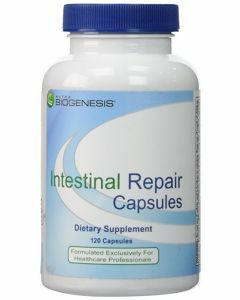 Digestive Enzymes are secreted by our pancreas to break down the nutrients in our food. Food Enzymes are supplied through what we eat and break down foods before digestive enzymes are called upon. All cooked and processed foods have no food enzymes. Choose AutoShip and never run out! Please contacts us and our customer service team will answer all your questions. If you are not satisfied with your order - send back unopened items within 30 days after day of purchase! Join us on Facebook and get recent news about our new products and offers. Join 25,000+ subscribers and learn about natural treatments for Crohns, Colitis and IBS. 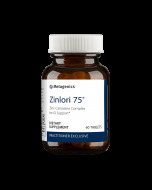 Plus 10% off coupon (excluding all Lab Tests). Crohns.net - Good Gut Solution's unique approach to complementary health care combines both Western and Eastern philosophies using products and techniques that promote long term benefits. Through education, behavior modification and supplementation, participants in our programs see remarkable improvements. We have over 30 years of successful experience in treating those suffering with diverse digestive conditions including Crohn's Disease, Ulcerative Colitis, Leaky Gut Syndrome, Dysbiosis and Irritable Bowel Syndrome (IBS). Copyright © 2019 House Hold City - Good Gut Solution - HealthyLifeUSA. All rights reserved.